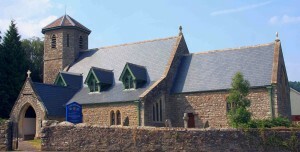 We are a proud Parish in the Diocese of Monmouth, in the Anglican Province of the Church in Wales. We aim to bring people closer to Christ through the sacraments and the preaching of the Word. Through daily and weekly worship, the offering of the Holy Eucharist, the pastoral care of all who seek our help and through teaching and instruction in the Catholic Faith as the Anglican tradition has received it. That faith speaks to us of the presence of Jesus Christ, always with us. He comes to us in the ordinary things of life, in the water of baptism, in the Bread and Wine of the Eucharist, in the words of forgiveness uttered by his Church, in the love and life he shares with us and calls on us to share with one another. Our group of parishes also includes the villages of Penterry, Itton, Devauden and Kilgwrrwg.